Anyway, without further ado - 10 books I would like to re-read. #1 - Jane Eyre (which I mentioned the other day.) I think the story has grown on me over time and reflection. I think I would appreciate the read more the second time around. I found this quiz asking Which Mysterious Benedict Society character I am. I got Reynie. "Smart. Average. Fun to be around. Average. Interesting. Average. But all in all an awesome person!" Average. I'm apparently very, very average. ;D haha! #3 - The Pilgrim's Progress , by John Bunyan. This has been on my mental to-be-read-again list for FAR too long. I found an old, hardback, classic looking used copy a few months ago and I want to read that version. This is another of those books I know I'll read with my kids in the future, but I would like to read it for myself right now. #4 - Les Miserables . Especially since we got to see the traveling Broadway production just a month or so ago. At the time I first read it I declared that every person should read that book and the Bible. I found it moving, you see. :) I need to re-read it. #5 - The Princess Bride . I put that on my Fall Into Reading list to MAKE myself get to this one over the holiday season particularly. Holidays being fun and that book being fun, I find this a perfect time to get back to this. #7 - Face to Face: Meditations on Friendship and Hospitality , by Steve Wilkens. I don't know about you, but with little children underfoot it takes great effort to connect with others, offering and receiving hospitality and fellowship. This book was a good kick in the pants for me a few years back. I'd like to re-read it again. 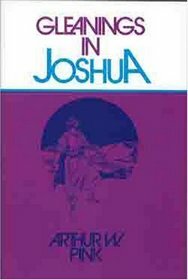 #8 - Gleanings in Joshua , by A.W. Pink. This book moved me when I read it in my late teens/early twenties. The way that Pink drew out lessons and details in the book of Joshua is just incredible and I've wanted to dive back in and completely immerse myself in it again. #9 - Eight Cousins , by Louisa May Alcott. I actually didn't really enjoy Alcott until just a few years back when I dove into several of her works. I really enjoyed Eight Cousins as a fun and delightful read. Never hurts to revist those. I know we all have books we want to re-read. Maybe it's time to get to them. Life's short. Stories are plentiful. What IS a reader to do!? If you create a list like this of 10 books you'd re-read, let me know! I'd love to see your list. Or, just tell me in the comments below. Huh. I tend to reread the same two books...Anne and To Kill a Mockingbird. 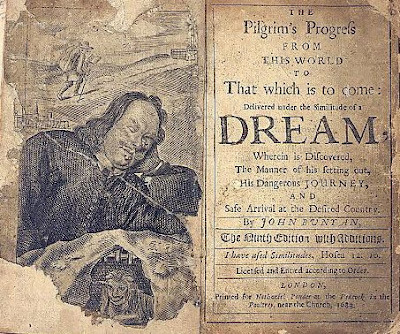 Still want to read The Pilgrim's Progress...I only read an abridged version when I was teaching 3rd grade. Michael Phillips, huh? Haven't read Eight Cousins yet...Little Men is on my shelf. I love your quote! I was just *sure* Lewis had something about re-reading books when I did my own rambling post about re-reading, but didn't find it (in looking for his, I found others I used instead, ha!). Oh, I'll have to do this one. Except I know I have more than 10. I'll have to narrow it down. I really liked some of Michael Phillips stuff, and didn't like others. I think I only read one in this series. Jane Eyre would definitely be on my list as well as Les Mis. 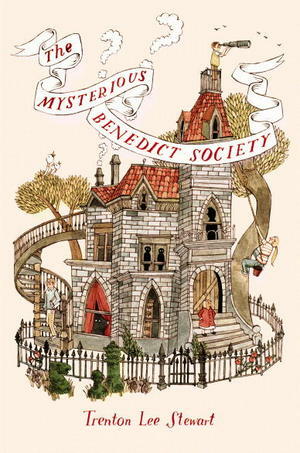 I still need to read the Benedict Society the first time. Hank the Cow Dog wasn't even on my radar when my kids were younger. I've heard it is good. I'll have to do this one! I have Benedict Society now sitting on my shelf, so I've got to plan for it soon! I read that series of books by Michael Phillips when I was a teenager, too, and I remember loving them. I have to say that the covers are a lot better now, though (yes, I'm one of those people who DOES judge a book by its cover :)). I also remember reading and enjoying his American Dreams (I think it was called?) and the Shenandoah Sisters series which were an extension of those. They took place in the Civil War and the Reconstructionist Era. I first read Les Mis when we were going to NYC to see the show. I loved it too. Then I did enjoy my reread a couple of years ago in Classics Bookclub. I'm thinking of introducing Kyle and Hank the Cowdog soon. Wow, I've never read any of the books you mentioned! There are only a few books I've read more than once besides the Little House series. The two that come to mind right now are Traveling Mercies by Anne Lamott and The Sacred Romance. I think all of my re-reading occurred in college! My first attempt at homemade yogurt is VERY runny. Bummer! Guess I'll use it in baking. Yay, someone else who enjoys Secret of the Rose! I've read it way more times than I care to admit (including once aloud to my younger sister) and still love it every time. Your re-read list reminded me of some of those books I haven't read for quite a while and really would like to again. I loved the Secret of the Rose (not sure whether I enjoyed the books that followed). And Pilgrim's Progress. Ah what a wise one that Lewis was. I actually use this rule for my reading life. Only I do the 3-1 ratio, because there are SO many I want to read that I haven't yet read! #3 Start with this if you are going to re-read any! Every time I read this it opens my eyes to something new. God is still working in this little book! It's amazing. #10 I had a couple of books I was in love with as a teenager and they sit on my shelf for purely sentimental reasons. You've inspired me, Carrie. I'll revisit them after all! It said I'm Sticky. "Really really (WOW) smart!! Shy but lovely when you get to know you." Which I don't think describes me very well.